Sharp Philippines Corporation (SPC) recently launched its newest campaign in celebration of the 120th year of Philippine Independence, “We Love Philippines.” This campaign was launched last June 12 at SPC Main Office, which will run until the end of October 2018. For almost four decades, SPC is consistent in providing locally-produced quality products like color Television, washing machine, and karaoke. These products became part of every Filipino household, upholding the company’s mission of bringing quality products for every Juan, in support of their campaign “Sharp For Every Juan.” In an atmosphere of imported goods, this campaign points to prime the knowledge of every “Juan” that Proudly Pinoy Products are developed and manufactured here in the country. PR and Advertising Manager Amor Golifardo with rest of the SPC’s Marketing team. This nationwide campaign will proudly show SPC’s deep appreciation to its loyal Filipino customers by giving away exciting prizes like Twin Tub Washing Machine, Fully Automatic Washing Machine, LED TV and Karaoke. 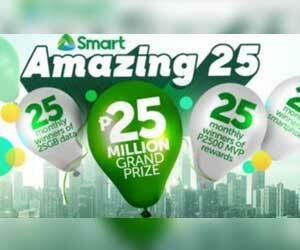 Last August 14, SPC announced its batch of winners during their first monthly draw for Luzon entries. Hosted by SPC PR and Advertising Manager Amor Golifardo, the winners include Caroline Manalo (ES-FA650P), Jonalyn Mabuan (LC-40LE185M), Mylene Culanag (ES-7030T), Epifanio Dulay (LC-40LE185M), Menandro Godoy (HK-SB3018P) and Maria Del Rosario (HK-SB3018P). 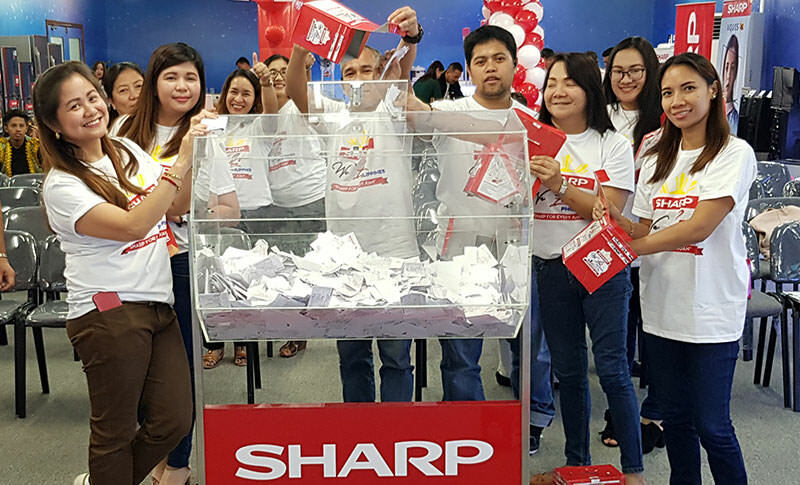 Sharp will hold three more raffle draws on September 14 for Visayas entries, October 13 for Mindanao entries and October 10 for nationwide entries. “We Love Philippines” substantiates SPC’s continuous action to provide advanced and pioneering technologies, gripping to the mission, which tailored to the needs of our Filipino consumers.